Embedded systems nowadays store more and more data in databases. With this increase in database deployment, sophisticated database administration tasks have to be performed on the embedded devices. However, embedded systems need to keep on working without interruption or human intervention, so a callable database administration API is a must have. Database administration in embedded systems consists of two groups of tasks, namely 1) initial configuration and 2) ongoing maintenance. Initial configuration includes database design and tuning. Ongoing maintenance includes: backup, automatic recovery, reinitialization of the database from scratch or backup, logging, data reorganization, data integrity checking and repairing, index rebuilding, etc. To address the ever-growing need for smarter and more efficient database administration in embedded systems, Empress Software has introduced the Empress Callable Administration API. Empress Callable Administration API has been implemented to provide similar functionality to standard command line Empress utilities. Callable Administration API routines may be used in place of utilities. The following database administration functionality is supported via the corresponding callable administration API in the table below. Empress Callable Administration API routines can be run as either tasks or processes and provide additional flexibility to run database administration tasks for both process and task-based operating systems. 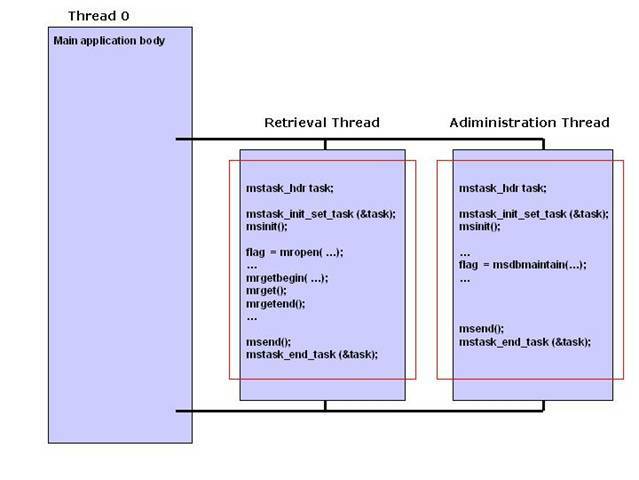 Figure 1 describes the scenario where the main application spawns two threads to perform two database tasks. The first thread executes an Empress task that performs database retrieval operations while the second thread invokes the Empress Callable Administration API routine msdbmaintain execute a database integrity-checking task. The option –utilapi requires that version of Empress Database have multi-thread support. Most embedded operating systems such as Android, Apple iOS, eSOL, Linux (embedded), Lynx O/S, MontaVista Linux, QNX, T-Engine, Windows CE, Windows Mobile or VxWorks allow Empress to have multi-thread support. The example program called example.c is shown below. This program executes the database checking callable administration API routine msdbmaintain against the database " repairs" . The first parameter in the routine msdbmaintain is the database that requires checking. The fourth parameter in the routine msdbmaintain (& found_error_and_fix) is the pointer (msbool* that shows whether msdbmaintain problems and fixed them. If the value is it shows it found problems and fixed them. If the value is false it shows it didn’t find problems. To address the ever-growing need for smarter and more efficient database administration in embedded systems, anywhere and everywhere, Empress Software has provided Empress Callable Administration API. Empress Callable Administration API is implemented to provide database checking and repairing, server administration or backup. These complex tasks that are typically run by a database administration of the enterprise database system can now be automated for embedded systems making them truly ubiquitous.